Breaking News: The National Open University of Nigeria, NOUN Graduates to participate in NYSC scheme and Attend Law School! According to the forum, the amendment would resolve the protracted crisis that had particularly affected Law students of the university from attending Nigeria Law School as well as participating in NYSC Scheme. The News Agency of Nigeria reports that Senator Ita Enang, ‎who is the Special Adviser to the President on National Assembly Matters, had disclosed to the State House correspondents on Friday, 7th December, that the President’ has approve the bill. 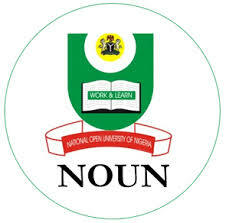 The NOUN Law Graduate Forum expressed joy that the protracted crisis had been resolved by the Federal government of Nigeria and that by so doing, the Law School admission challenge, as well as National Youth Service Corps issues have now been settled finally. Thank God, so finally Nou graduates can go to school of law and as well mobilize for NYSC. It is a long overdue process and big thank you to the national assembly and the president of the federal republic of Nigeria Muhammadu Buhari. Open university has been one of the 21st century productive and resourceful institution in Nigeria.